India’s manufacturers of incense sticks can be spared their time and money spent in importing raw bamboo annually from China and Vietnam if local farmers start growing it on their lands, says the head of a body representing incense stick manufacturers. “Every year, the agarbathi (incense stick) industry is importing bamboo worth around Rs.250 crore. But if Indian farmers can be made aware about the potential of bamboo, they can add substantially to their income by growing bamboo suited for the agarbathi industry,” says Sharath Babu, President, All India Agarbathi Manufacturers Association. On December 26, 2017, India’s Parliament declassified bamboo as a tree, and recognised its status as a grass. The declassification, brought in by amending the Indian Forest Act, 1927, has deregulated the trade in bamboo. Earlier, as a tree species, it was protected by law and under the supervision of the states’ forest departments. While the trade in bamboo growing in forest areas is still regulated through a system of transit permits, the bamboo grown on private land is free to be traded in. This relaxation in bamboo trade can become a source of supply for the agarbathi industry, according to Babu. Currently, the domestic supply of bamboo is not more than 10 per cent of the entire demand by the industry. However, this legal relaxation has not translated into a sustained domestic supply for the agarbathi industry. The bamboo needed for making agarbathi has to have inter-nodal length of at least one foot. The bamboo growing in India’s forests doesn’t have this feature. It bamboo has to be grown scientifically using tissue culture technique to get the desired length. This forces the industry to import bamboo to the tune of 60,000 to 65,000 tonnes every year from China and Vietnam. With the use of agarbathi becoming a lifestyle choice, the demand for it has been increasing. 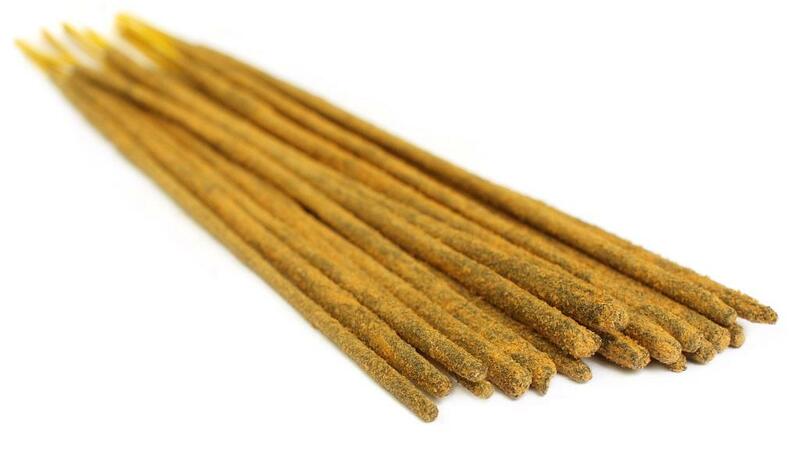 According to a market research, the India Incense Sticks (Agarbathi and Dhoop) Market 2018-2023, the Indian agarbathi industry is forecasted to have high growth with a compound annual growth rate of more than 9 per cent from 2022-23, which will further drive up the demand for bamboo. “The government needs to build a compressive five-year plan to promote bamboo cultivation as it takes four years to harvest bamboo. Farmers need to be made aware about the benefits,” Babu says.